Everyone has distressing thoughts, emotions and misperceptions in different situations. Sometimes, these experiences can notably interfere with daily life and relationships, and a genuine health concern arises. Psychosis refers to a range of experiences in the changes of the brain’s interpretation and processing of information. People experience psychosis for various reasons, such as mental health conditions, drug use (both prescription and recreational), sleep deprivation, head injury, and many other health issues. Seeing, hearing, smelling, tasting, or feeling things that others do not. These experiences are also known as hallucinations. Firm beliefs based on misinterpretations of reality. These beliefs are often sustained despite evidence to the contrary. These experiences are also known as delusions. Thinking that you have special powers or beliefs that people can read or control your mind are a couple examples of this experience. Difficulty focusing, making sense of what others are saying, “connecting the dots,” or expressing your thoughts or feelings. B. Most people recover from psychosis and go on to live happy and productive lives. 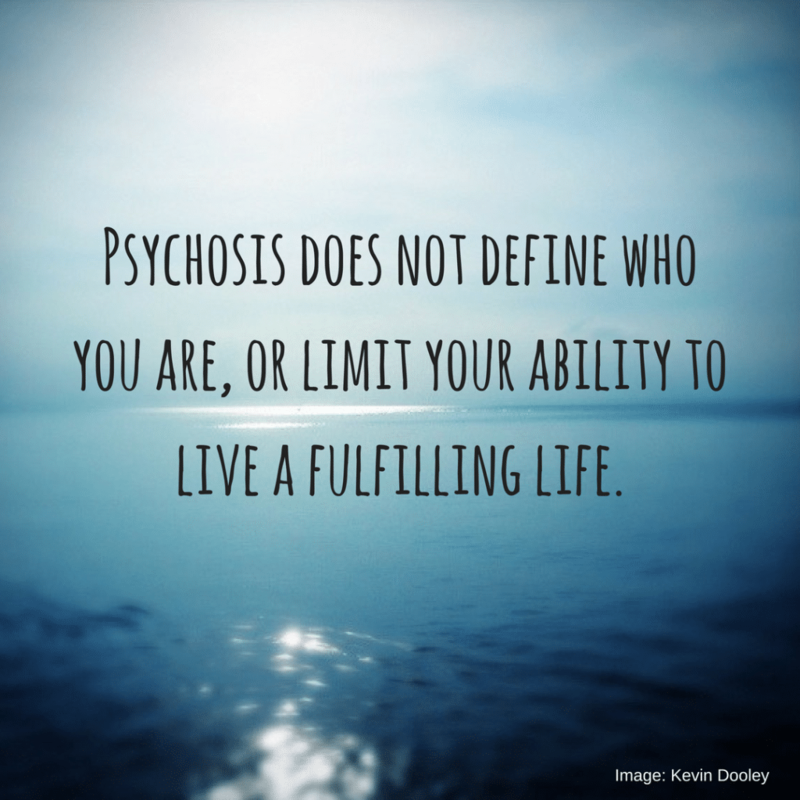 In other words, just like any health issue, psychosis does not define who you are, or limit your ability to live a fulfilling life. When a health concern starts to disrupt your life or your relationships, it’s time to reach out for help. Regardless of the potential causes, it’s important to understand that early signs of psychosis tend to get worse over time, so it’s important to get help early. Psychosis is treatable. Experiences of psychosis happen more often than most people think. Approximately 100,000 young people experience an episode of psychosis each year in the United States—that’s 274 young people each day. It is estimated that 3 out of every 100 people will experience an episode of psychosis at some point in their lives, making it more common than diabetes for ages under 45. Common life experiences like intense stress, grief, trauma and sleep deprivation, combined with genetics and brain chemistry can cause people to experience psychosis. An initial episode of psychosis is most common during the final stages of brain development, which is why it is most commonly first experienced in teen and young adult years. So if you think you may be experiencing symptoms, don’t hesitate to reach out for help. If you’re still uncertain about what you’re experiencing, take this self-check up quiz. If you know what it’s like to struggle, you are not alone.